Top 10 Health Benefits of Red Wine – The health benefits that I outline in this article come from individuals drinking only a moderate amount of wine. It’s also important to note that like with most things, if taken in excess, it can pose a risk to your health. One glass of wine is the recommended daily allowance for women with no more than two for men. The benefitial health benefits come primarily from Resveratrol, which is one of the antioxidants that are found in wine. This same antioxidant is found in grape skin, which is where red wine is derived from. 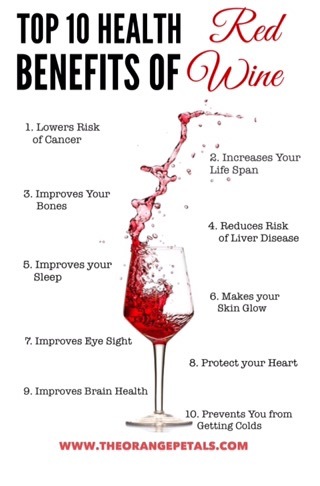 That said these benefits are only applicable to moderate drinkers of wine. The antioxidant found in wine comes with its own cancer-fighting properties. Many studies have shown that wine is capable of slowing the growth of cancer cells within the body, particularly around the breast and colon areas. Other studies have also shown that the antioxidants within wine are also capable of fighting cancer cells within the prostate. Studies have shown that, with daily consumption of wine, it is possible for you to live considerable longer. This coupled with fewer animal-based foods and more & plant-based foods individuals have been known to live much longer on average. Many island people around the world are known to consume wine, to great effect. Studies have shown that the procyanidins compounds found within red wine are capable promoting cardiovascular health. This particular finding goes against all conventional thinking about alcohol and its effects on the liver. 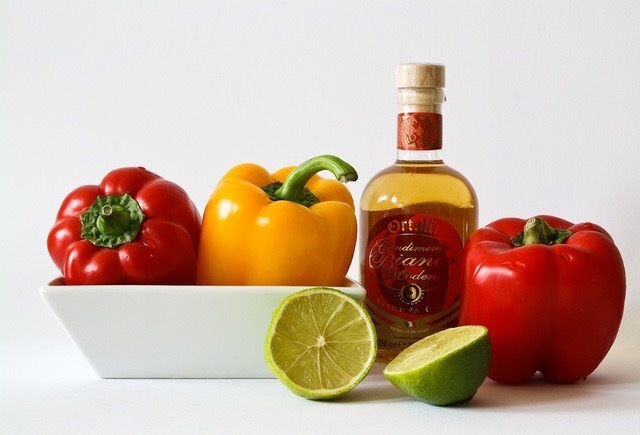 Providing the individual consumes no more than one glass a day, it’s said that this activity can help decrease non-alcoholic fatty liver disease. 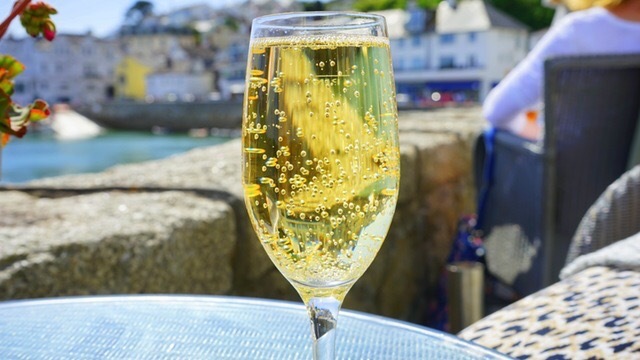 Further studies have shown that for wine drinkers the prevalence of liver disease is halved, whereas for your average beer or liquor drinker it’s increased by around 200%. Many studies have shown that individuals that consume one glass of wine per day had greater bone mineral density within the thigh and hip region, than those who didn’t drink and heavy liquor drinkers. Bone mineral density is the measure that doctors use to determine the resilience and strength of an individual’s bones. This reduces diseases such as osteoporosis of the bones. The presence of melatonin within red wine is said to help individuals sleep more peacefully. Melatonin is capable of stimulating your body’s clock while enhancing your overall health. So if you’re having problems sleeping, why not consider drinking around 100ml of wine, just before going to bed. Having healthy looking skin is something we all would love to have, fortunately, this is but one of the many benefits that drinking red wine can give you. The antioxidant within red wine is what protects your skin, preventing it from aging. This is one of the reasons why you can pay for red wine facials as selected parlours. The antioxidants within red wine are capable of preventing the deterioration of the eye muscles. Blood vessels growing within the eye typically leads to macular degeneration or failing eyesight, however with the aid of red wine, this process is stunted. Procyandins found within red wine is capable of protecting the human heart from diseases according to the various studies carried out on it. The compound resveratrol found within the antioxidant is said to reduce fat that accumulates within the arteries. Wines produced in southwest France and Sardinia tend to come with more of these helpful properties. Many studies have shown that red wine is capable of improving the memory function of the brain, which helps in the onset of Alzheimer’s and other related brain diseases. Individuals that were said to consume up to 2 glasses of wine per day were said to have lowered the risk of them developing dementia by around 40%. Studies have shown that individuals that drink red wine on a regular basis were found to be 45% less likely to get the infamous common cold. Something that we all suffer from, making red wine all the more appealing, even to those of us that do not like alcoholic beverages.